The following companies on this page are all leading manufacturers of Spray Polyurethane Foam Roofing supplies, related materials and equipment. Click on the URL to open a new window with that company’s website in it. Graco - Graco Founded in 1926, Fluid handling systems and components. Plastics Industry Association - Better Industry. Better World. ASC - Adhesive and Sealant Council, Inc. Factory Mutual Global Engineering (FMEC) and Research (FMRC) Corp. 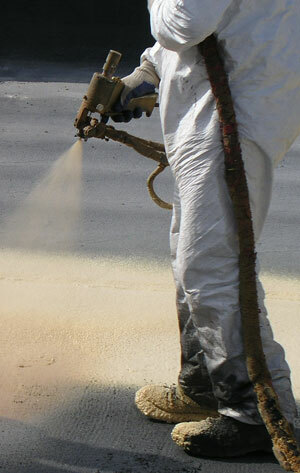 The following books contain a wealth of information about sprayed polyurethane foam roofing. ●	NRCA Roofing and Waterproofing Manual The National Roofing Contractors Association Foam Roofing Related Industry Papers The following papers and reports all deal with sprayed polyurethane foam roofs. The foam can be sprayed onto virtually any surface, irregularly shaped roofs and protrusions are readily taken care of.